It has been wonderful to see the country joining in the celebrations for the Queen’s 90th Birthday. 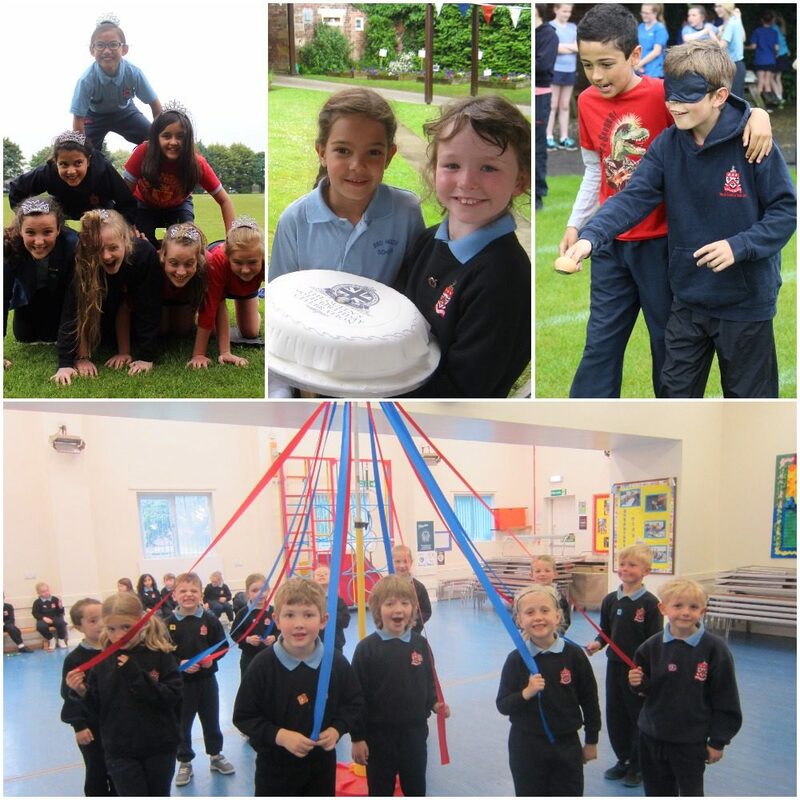 The School marked the special occasion by organising a whole host of fun activities and street party lunches. To ensure the day was remembered for years to come all of the children were presented with a commemorative coin to remind them of the day. Thank you to the PTA for kindly providing them. At the Nursery & Infant School children invited Rev. Paul to join their street party lunch where he said Grace, the Queen was toasted and everyone enjoyed a slice of birthday cake. This was followed by traditional party games such as Maypole dancing, apple bobbing, pin the tail on the donkey. Even a few members of the Royal Family joined in the party atmosphere in the form of scarecrows made by the children. Over in the Prep. & Senior School the poor weather meant that picnics were held in classrooms. However, spirits were not dampened and the afternoon was taken up with a series of Royalty themed team activities. Competing for their houses children undertook a series of games and challenges including: Invictus styled volley ball, with all participants sitting down, general knowledge questions about the Royal Family and Frisbee throwing using Royal flags as targets. The grand finale was to build a trebuchet and see how far it could throw a tennis ball. Houses were awarded points for each of the activities with Ragworth winning both the Prep. & Senior competition. Thank you to Mr Symington for his work in developing and organising the games and challenges.